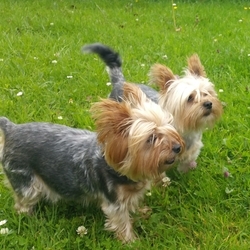 Two yorkshier terrier dogs got misding on 31 of July in Moone area Co. Kildare. Female dog Nickie 10 years old with large patch scar on the back, and male yorkie Toffee 5 years old.they are very friendly, microchiped. Please contact with any information we are devastated.